Sony Pictures has released the second official trailer for their upcoming animated superhero flick Spider-Man: Into the Spider-Verse. As the trailer opens up with, the film is set in an entire different universe from that of Tom Holland’s Peter Parker and the Marvel Cinematic Universe. With Spidey currently crushing it over in the MCU, Siny has taken it upon themselves to continue to use the character, just in a different style. Into the Spider-Verse will introduce and closely follow Miles Morales and his newfound powers, while also venturing out into the larger world that has multiple web-slingers wearing the mask. I was extremely iffy on this project when the first trailer dropped a number of months ago, but boy was I wrong. I’m am completely digging what they’re selling. This trailer is awesome. It has so many cool and different aspects of the genres going for it. First of all, the animation style is remarkable. How it looks like a moving comic books is absolutely genius in my opinion. Secondly, and most important, the use of far different Peter Parker and the bomb they dropped with Gwen Stacy aka Spider-Gwen. Fans have been begging for Miles Morales to show up on screen for years, and while that very well could happen in the MCU in the future, it’s a very smart move to put him in the drivers seat for this animated movie. It’s going to be a lot of fun for both kids and adults, and especially those who are Spider-Man lifers. Whether it’s a one-off or a kickstarter for another universe, I have no doubt that Into the Spider-Verse will be a whole heck of a lot of fun come later this year. Check out the new trailer below and after doing so, head down to the comments and leave your thoughts! Do you feel the same as I do? Are all these spider people to confusing? Are you even interested in a movie like this? 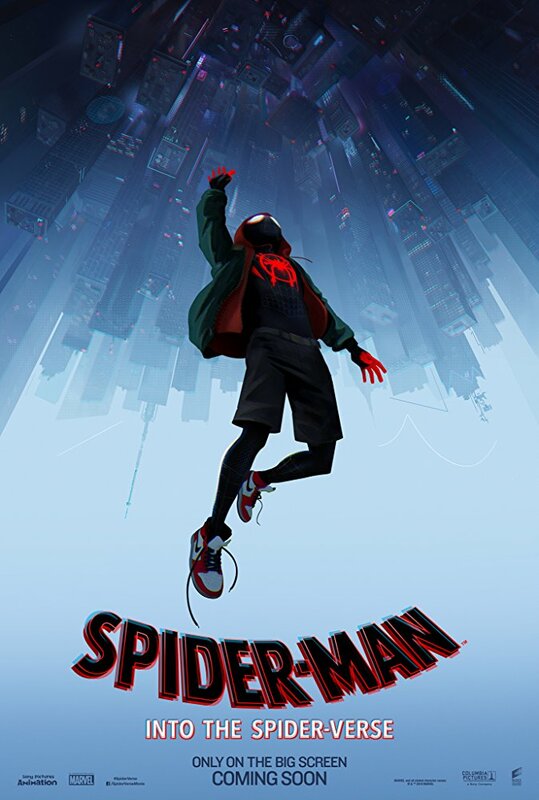 Featuring the voices of Shameik Moore, Hailee Steinfeld, Mahershala Ali, Jake Johnson, Liev Schreiber, Brian Tyree, Henry Luna, Lauren Velez and Lily Tomlin, Spider-Man: Into the Spider-Verse swings into theaters on December 14th.